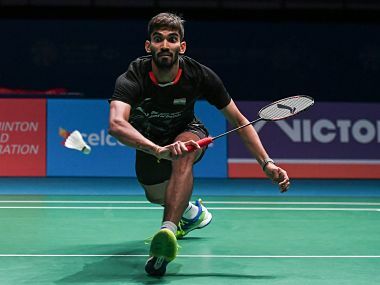 India’s shuttling ace Kidambi Srikanth is back to his best. 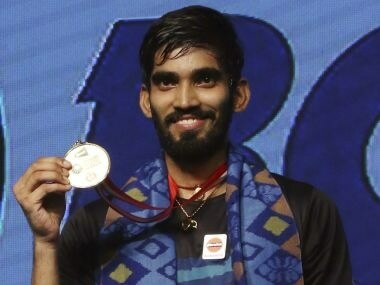 Playing his own special brand of speedy, aggressive badminton, the 24-year-old Andhra Pradesh native annexed the $75,000 top prize at the $1 million Indonesia Open Superseries Premier badminton championships with a relatively facile, 37-minute 21-11, 21-19 triumph over Japan’s Kazumasa Sakai at the Jakarta Convention Centre on Sunday. Ranked third in the world at the height of his career in June 2015, and with two Superseries titles under his belt, the Pullela Gopichand Academy trainee had fallen prey at last year’s Japan Open to an ankle injury that got aggravated into a stress fracture at the Korea Superseries in September 2016, shortly after the Olympics. Srikanth had the mortification of seeing his Badminton World Federation (BWF) ranking tumble to outside the top-30 in March this year. Although he worked himself back to full fitness earlier this year, his staying powers seemed to have been affected after the lengthy time-out, and he failed to do justice to his immense talent at the tournaments he played earlier this year. He did reach the final of the Singapore Open, but bowed to the superior stamina of his friend and regular sparring partner, B Sai Praneeth. His ranking improved gradually to No 22. At the Indonesia Open, Srikanth started relatively slowly, with a tough, three-game victory over Hong Kong’s Wong Wing Ki Vincent, and then had an equally hard-fought three-game win over Denmark’s No 4 seed and former World No 1, Jan O Jorgensen. It was a repeat of his 21-19, 21-19 triumph over the Dane at the Rio Olympics. The Indian had a relatively easy passage in the quarter-final, with a comfortable 21-15, 21-14 win over Tzu Wei Wang of Chinese Taipei, but then had to stretch almost to breaking point in the semi-final against current World No 1, Son Wan Ho, needing to save a match point before scraping past the South Korean on his own third match-point at 24-22. That match revealed not just the fact that Srikanth had the stomach for a fight, but also that his fitness levels had been honed by having to play three tough, demanding matches out of four in the preceding four days. When he walked out on court to take on the other surprise finalist, 27-year-old Japanese qualifier Sakai, he was ready to scale the top step of the victory rostrum. The gap that existed between the speed and skill levels of the two rivals was apparent in the opening game when Srikanth settled after an even first half to comprehensively dominate the exchanges after 9-8. The 47th-ranked Japanese player could claim just one of the next 11 points as the Indian followed up swiftly behind his smashes for the put-away tap at the net. However, as he had done in his earlier matches, Sakai refused to go down tamely. He got used to the pace and angles of Srikanth’s smashes, and put up a strong defence, and upped his own speed, to take a handy 9-4 lead, which he extended to 12-7. The Japanese player was also helped by the fact that the Indian unaccountably went off the boil, as he had done in the closing reaches of his second game the previous day against Wan Ho. 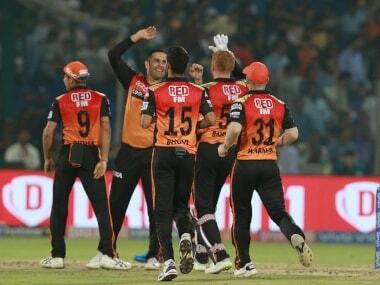 In the nick of time, Srikanth steadied himself, and employed the hustle to draw level at 13-all. From that point onwards, it became a see-saw battle as both players realised the value of winning the second game. Had the match gone into a decider, Sakai’s superior staying powers may well have weighed in the balance, in his favour. 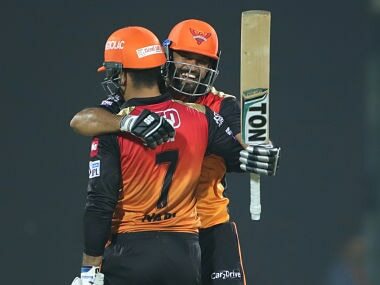 As both players fought implacably for every point, and the scored moved in tandem to 19-all, the Indian was fortunate to reach match point with a lucky netcord that died in the forecourt. That point must have given Srikanth the confidence that his victory was pre-ordained, and he duly finished off the encounter, to win the third Superseries title of his career, behind the 2014 China Open and 2015 India Open. As in the men’s singles, an unseeded player took home the women’s singles crown. The Indonesia Open title proved a special triumph for 26-year-old Japanese left-hander Sayaka Sato, who won the first Superseries top prize of her chequered career, exactly seven years after losing in the final of the same competition in 2010 to India’s Saina Nehwal. Incidentally, the tall southpaw had also lost the Junior World Championship final at Pune in 2008 to the same player. Sato capped a memorable tournament with the scalp of the No 5 seed, Sung Ji Hyun, handing the South Korean a 21-13, 17-21, 21-14 defeat in the day’s longest final, that lasted an hour and 18 minutes, was replete with long, probing rallies covering every corner of the court, and brought both players to the brink of total exhaustion. The result was particularly satisfying for the 17th ranked Sato as it was only her second victory in 14 career meetings with Ji Hyun. On her way to the final, the Japanese player had shot down two seeded players — China’s He Bingjiao (seeded seventh, at 21-17, 21-18) and compatriot Akane Yamaguchi (seeded third, at 21-17, 18-21, 21-18); and ended up with her third major scalp in the title clash. She had to play lengthy three-game matches to clear most hurdles, and demonstrated a lot of heart, resolve and stamina. There was a special needle to the men’s doubles final, with the world No 1 ranking being dependent on the result of the summit clash between second-seeded Mathias Boe and Carsten Mogensen of Denmark and the No 3 seeds, Li Junhui and Liu Yuchen of China. There had been barely any gap in the points tally of the top three pairs on the rankings table, but the early exit of the top-ranked Indonesian pair of Kevin Sanjaya Sukamuljo and Marcus Fernaldi Gideon had ensured that there would be a new World No 1 pair at the end of the tournament. In the event, the Chinese pair claimed the top rung of the BWF ladder, with a hard-fought 21-19, 19-21, 21-18 triumph over the durable Danes, 37-year-old southpaw Boe and his right-handed partner, who will be 34 next month, and who had gallantly returned to the international circuit after undergoing brain surgery for an intracranial aneurysm in 2016. There was absolutely nothing to separate the two pairs, and it was a toss-up as to who would win the prolonged 71-minute duel, so closely matched were they. The last surviving top seeds, China’s mixed doubles combination of Zheng Siwei and Chen Qingchen, also ended up victims of the hoodoo that dogged the tournament, of favourites going for a toss. At different stages of the competition, the No 1 seeds in each of the five events had been humbled by lesser ranked players. In the roiling cauldron of the Jakarta Convention Centre that reverberated to deafening chants of “In-do-ne-sia! In-do-ne-sia!”, the Chinese duo was humbled by the sixth-seeded home pairing of Tontowi Ahmad and Lilyana Natsir, the Rio Olympics gold medalists, at 20-22, 15-21, in three-quarters of an hour. It was a personal triumph for the 31-year-old Natsir, a three-time former world champion, who was returning to competition after an injury lay-off. The result deprived Qingchen of a double crown, for she had combined with left-handed Jia Yifan to settle the pretensions of reigning All England champions, Chang Ye Na and Lee So Hee of South Korea at 21-19, 15-21, 21-10, in the opening item of the day’s entertainment. The fifth-seeded Chinese were far too aggressive for the Koreans, particularly in the decisive third game, and maintained their record of never having lost to Ye Na and So Hee whenever their match has gone the full distance. The mixed doubles title brought some solace to the highly vocal and partisan crowd that had had the mortification of seeing their country’s representatives being eclipsed in every one brought the curtain down on a tournament that witnessed a sustained carnage of players tagged as favourites by the seeding committee, mostly on the basis of their respective rankings at the time of making the draws. Clearly, the Indonesia Open Superseries Premier 2017 showed scant respect for rankings or reputations, and will go down in history as the tournament of the underdog.